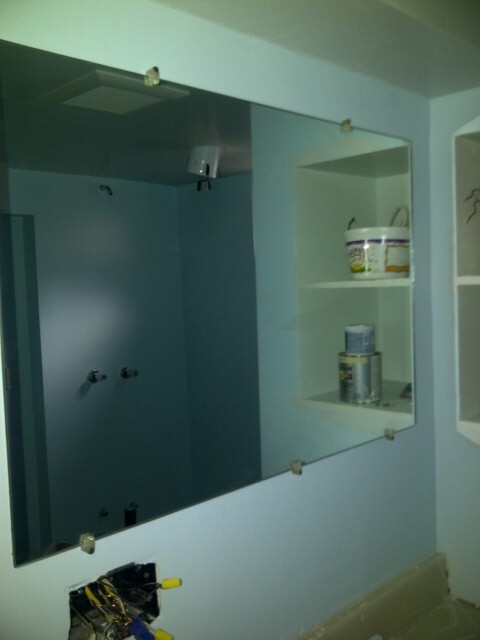 The bathroom has undergone a major transformation. The tile is finished and the tub is in. Yeah. Check it out; haven’t Chris and Chuck done a great job?! 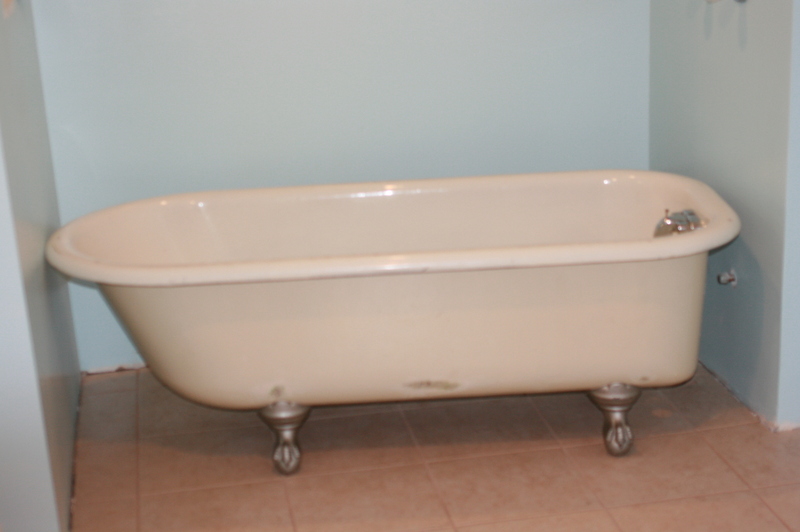 With some help from our neighbors, Chris moved the tub into the bathroom. It looks even better than we thought it would. Mirror, Mirror, finally on the Wall. Yeah. The end is in sight. What an amazing transformation!! For the first fifteen years of our parenting adventure, we had hardly any illness or injury. The last year has made up for that, in a big way. Right now, five of our eight children are struggling with health issues. From possible congenital defects (that went undiscovered for years) to joint injuries requiring surgery and possible fractures, besides frequent illness and our son’s almost constant crying, it has been tough. If we have learned anything it is how faithful our God is. What an awesome God we serve! Right now, though, we need extra prayer for our two oldest. One has been referred to a hip specialist in Tacoma for suspected hip dysplasia. The other is waiting for surgery to correct an ankle injury and may have fractured her patella. Please pray for wisdom for us and the doctors, for accurate diagnoses, and for clear treatment plans. Thank you for visiting our website and for your prayers. God bless. Sarah is on her way home! Though she told us repeatedly she did NOT want to come, Michele kept her promise to bring her back. As long as 17 days seemed when it started, the time has gone by quickly. We are very excited to welcome Sarah back, to hear about what God taught her and showed her during her time, and just to hold our girl in our arms again. Thanks so much for your prayers; God has carried us through the last two plus weeks, with grace, comfort, and peace that passes understanding. Be checking back frequently; we are planning to post Sarah’s photos as soon as we can. Tomorrow we’ll put our daughter on a plane. She’ll travel half way around the world to bless orphans in a place about as far removed from our time and place as you can get. It is not an easy step, though we are both convinced this is God’s call on Sarah’s life. The details have come together in too miraculous a way to question God’s hand. That reality, however, does not change the fact that we love our daughter and feel very strongly the burden to care for and protect her. Trusting God with our barely thirteen year old and allowing her to travel to across an ocean to a completely different continent, in a different hemisphere, with someone other than her mama and daddy, is a huge leap of faith. Suddenly, I have a new and very different perspective on short term missions. It has always been my privilege to go, not to send. And not only has God asked me to send, but He has asked me to send my little girl! Tomorrow, as I watch her walk through security and move toward the concourse, without me, it will be difficult not to cry. Actually, I know I will cry! Even so, I can not hold on to my little girl. She isn’t mine to hold; she is only mine on loan until God calls her home. So tomorrow, I will watch her walk away through tear-stained eyes, gripping tightly to my husband’s hand and clinging to Jesus’ heart.